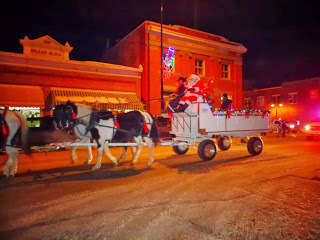 Lacombe & District Historical Society: Happy Holidays! The Lacombe & District Historical Society thanks all of its volunteers, members, sponsors, partners, supporters, and friends for another wonderful year! The Museums will be closed December 22, 2013 to January 10, 2014. The Flatiron and Michener House will resume regular hours starting Saturday, January 11, 2014.